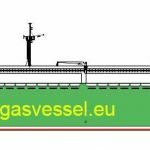 GASVESSEL partner Navalprogetti is developing the optimal, most efficient design of the ship that transports the innovative pressure cylinders in cooperation with the Krylov State Research Centre in Sank Petersburg. The research activity regarding the hydrodynamic effects has lately been extended with the improvement of the ship form. These improvements optimized the friction resistance as well as the residual resistance. 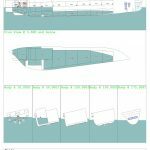 As a first step, the general arrangement plan of the CNG ship has been completed in the fwd part (accommodations) and in the aft part (engine room). 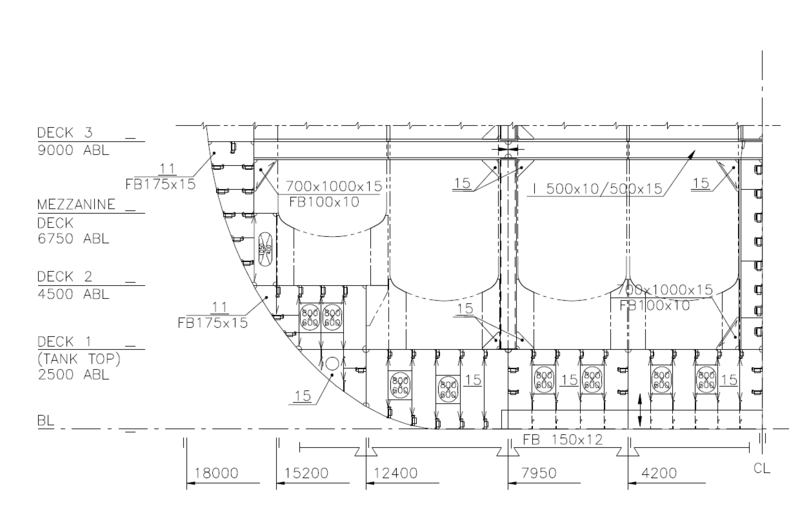 A longitudinal external view of the ship design can be seen in Fig. 1. 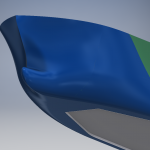 Other optimizations include the introduction of the air cavity system in the hull bottom, the modification of the fore bulb shape and the slight trim of the aft-body (transom). 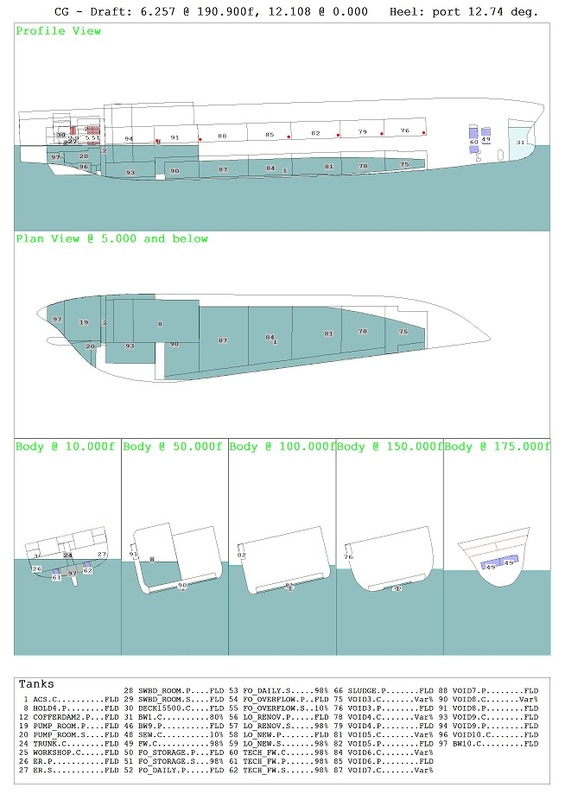 A 3D animation of the hull form (see Fig. 2), illustrates these optimizations. The expected result of this hydrodynamic investigation, which is still in progress, is a reduction on resistance/power of approximately 15% at cruise speed: an amazingly unexpected result. In addition to the modifications in the ship form, the structural design of the CNG ship has also been adapted. 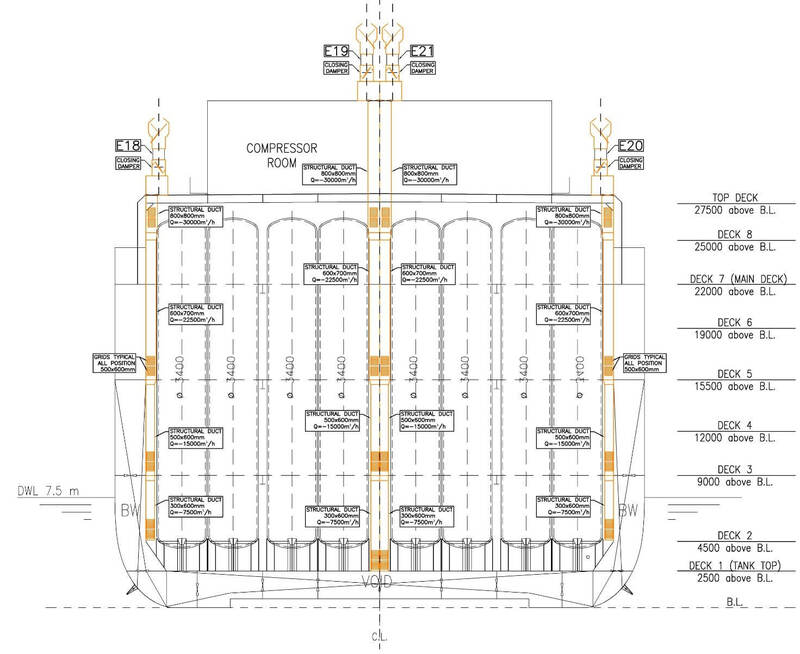 It now includes detailed drawings of the cargo zone (see Fig. 3) and relevant direct and rules calculation. The ventilation study of the cargo zone (see Fig. 4), cargo compressor room, engine room, and accommodation has been developed according to the ISO 7547, ISO 8861 and CNG ABS guidelines, taking into account the different operative profiles for the different scenarios. 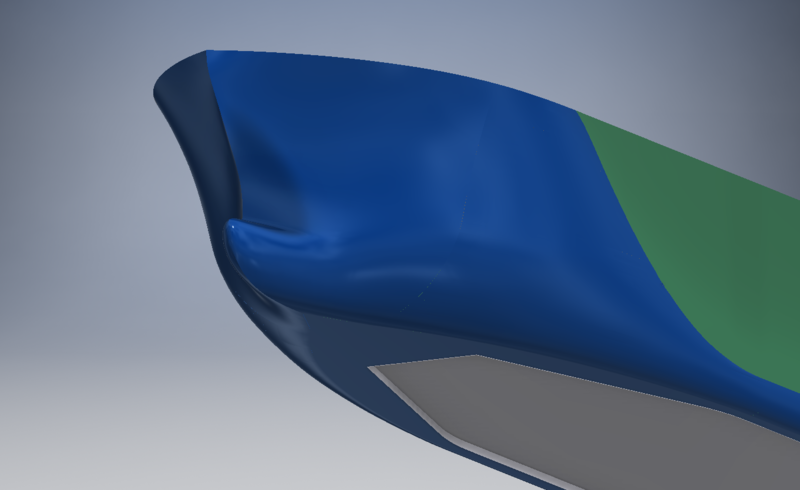 Finally, the stability analysis has been carried out with the lightship weight estimation and the new optimized hull forms. This analysis also includes a damage stability calculation, which is illustrated in Fig. 5. Figure 1: General Arrangement longitudinal view update. 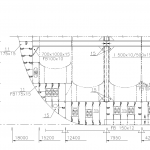 The finalisation of the general arrangement, as well as the stability assessment, allow Navalprogetti to proceed with a more consistent design development. 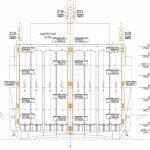 After the technical specifications and the updated general arrangement have been reviewed and approved by partners ABS and HLL, the conceptual design phase of the ship systems design is finalised. This phase is followed by the basic design development, which is foreseen for the beginning of the new year.